Cadets of Mogadishu Battalion have shown proficiency in weapons handling by emerging winners at the just concluded Cadets Brigade Inter – Battalion Skills – At – Arms and Bayonet Fighting Competition, which was organised for cadets of 63 Regular Course of the Nigerian Defence Academy. Skills – At – Arms and Bayonet Fighting Competition is one of the training events in the Nigerian Defence Academy’s Annual Programme of Events which is aimed at testing the cadets’ skills in weapons handling and their techniques in bayonet fighting. The two day event saw each battalion fielding a total of 15 cadets, out of which 10 cadets represented their battalion in the various events. The Guest of Honour at the event, the Director of Military Training (DMT), Brigadier General OZ Azinta, while addressing the cadets disclosed that weapon handling is an important skill which every soldier must possess. He added that the competition is intended to confirm their proficiency in weapons handling and also ensure that all cadets have the basic skills needed to excel as officers. 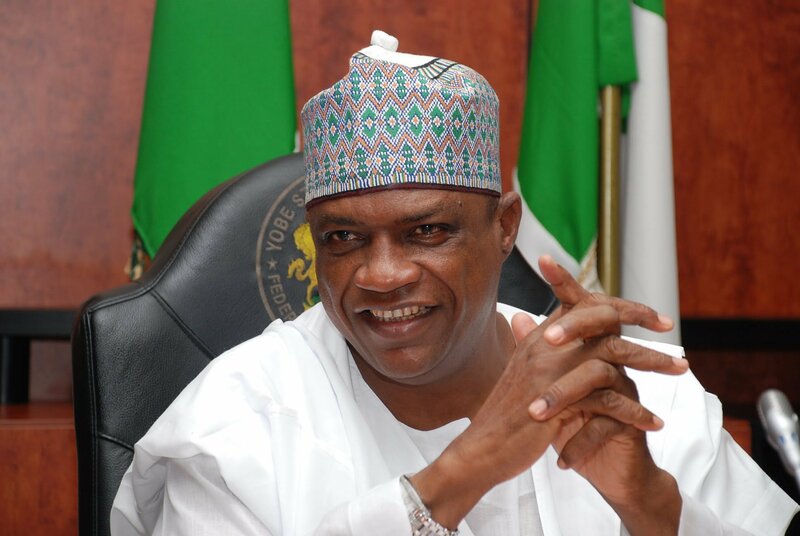 He therefore urged all cadets to practice regularly, even as he advised them to always adhere to all the procedures they have been taught during their stay in the Academy. Whilst commending the winning battalion and charging them to work harder to up their ante, General Azinta decried a situation where cadets try to apply short cuts in weapons handling, noting that proper procedures were there to ensure safety in weapons handling. He further added that, forthwith, the competition, which has hitherto been restricted to only final year cadets, would be extended to all the courses so as to get all cadets acquainted with proper procedures in weapons handling and bayonet fighting. He therefore urged each battalion to prepare all of their cadets for the exercise as cadets will be picked randomly by a Panel of Judges to participate in the competition. The DMT further buttressed the importance of the exercise, noting that as officers the respect their soldiers will have for them in the field will not be based on their ranks but on their ability to handle any weapon as Commanding Officer. 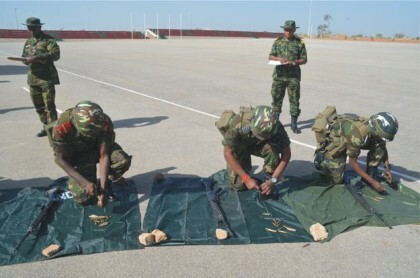 The events competed for in the competition include stripping and assembling of FN Rifle, General Purpose Machine Gun (GPMG), Pistol and AK 47 Rifle, bayonet fighting, Rifle Magazine filling, among other activities. At the end of the keenly contested event, Mogadishu Battalion garnered a total of 1472 points to emerge winner. It was closely followed by Abyssinia Battalion with 1469 points, Dalet Battalion with 1452.5 points and in fourth position was Burma Battalion with 1413 points.